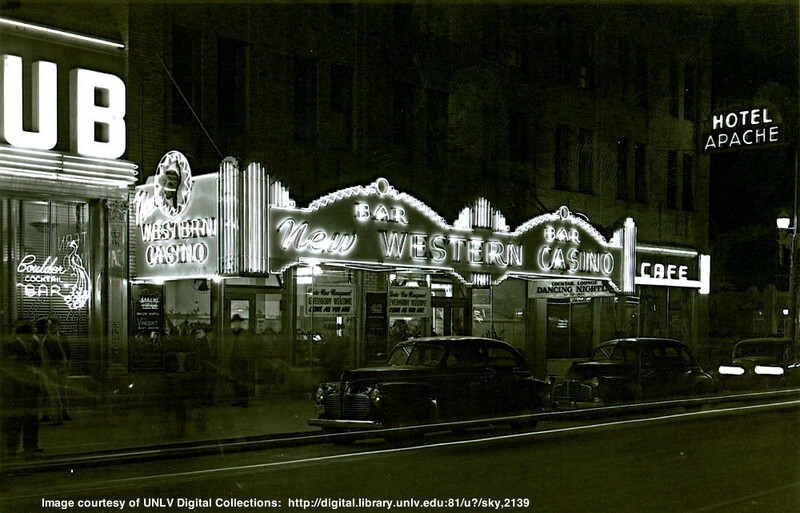 What came first the Western Casino or the “New” Western Casino? Normally when we ask that question, we simply go with the facts. The licenses, the dated photographs, and the contemporary newspaper articles of the times. But what do you do when they seem to contradict one another? Our solution to that question is to give you everything we have and let you decide. 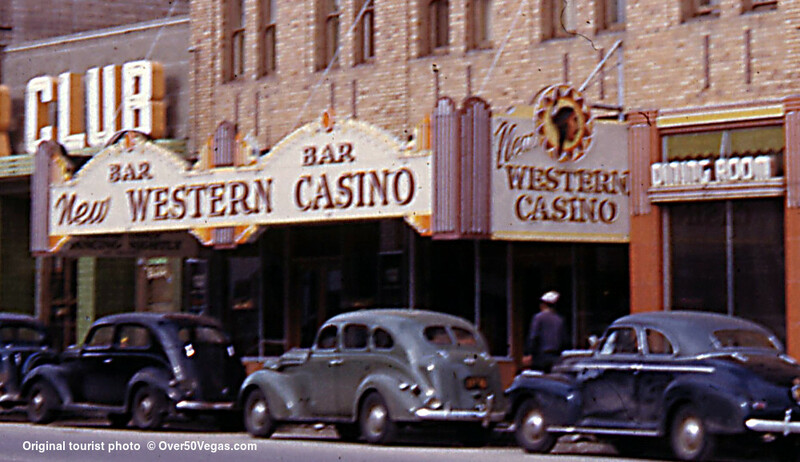 Whatever the answer, both the Western and New Western Casino were owned by a small group of people who seem to sell it back-and-forth and both were in the same location. Let's start with the photographs you can browse to the left. Every photograph that we have found has the same “New” in the marquee. So the photographs aren't much help in dating the two casinos. We have Fullers Index Plus which is usually a very reliable source of the licensing dates of casinos in Nevada. but no closing date is shown. Occasionally newspaper reports can throw around the word 'new' meaning that the casino is new and not necessarily that 'New' is the official business name. If you look carefully at one of the UNLV photographs which has been widely distributed for years, the two cars in the photograph are both 1941 models. And if you zoom in on the license plate you see that it is a 1941 license plate. 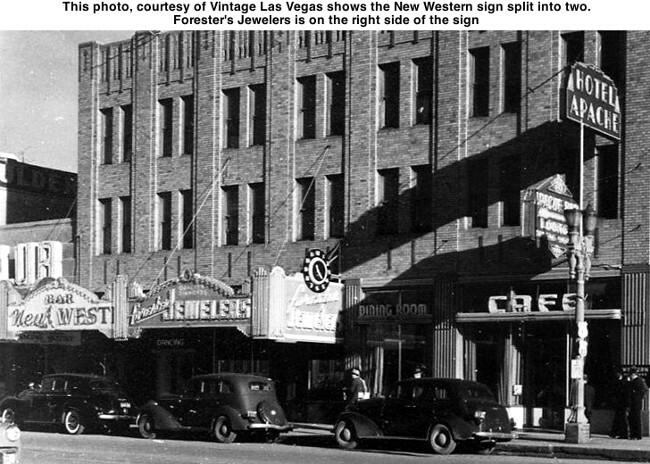 That dates the picture to 1941 or later, and the words 'New Western' are on the marquee. That doesn't do much to date the casino since it could have been a one year old car sitting in front of either casino in 1942. Then we look at telephone books and classified listings. Figuring if somebody is paying for an ad they would probably like it to be accurate. 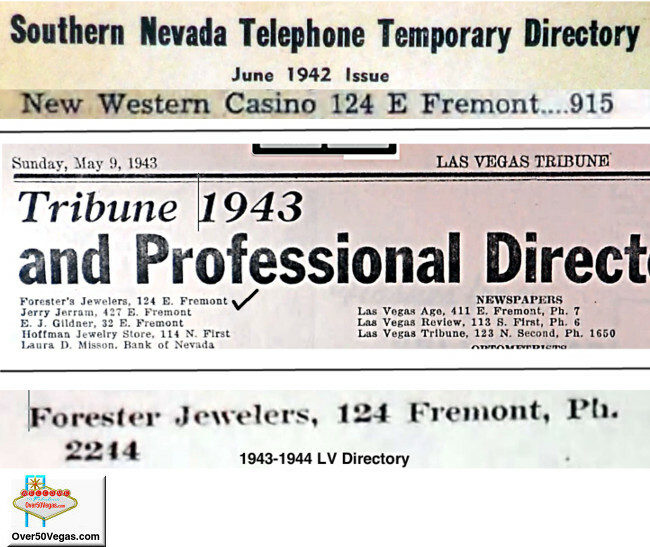 The June 1942 issue of the Southern Nevada Telephone Temporary Directory has the property listed as the 'New Western Casino'. This is also not much help because directories are set up long before publishing and the name may have changed during the lead time to printing. That is the only directory listing of any kind we have found so far with either name on it. 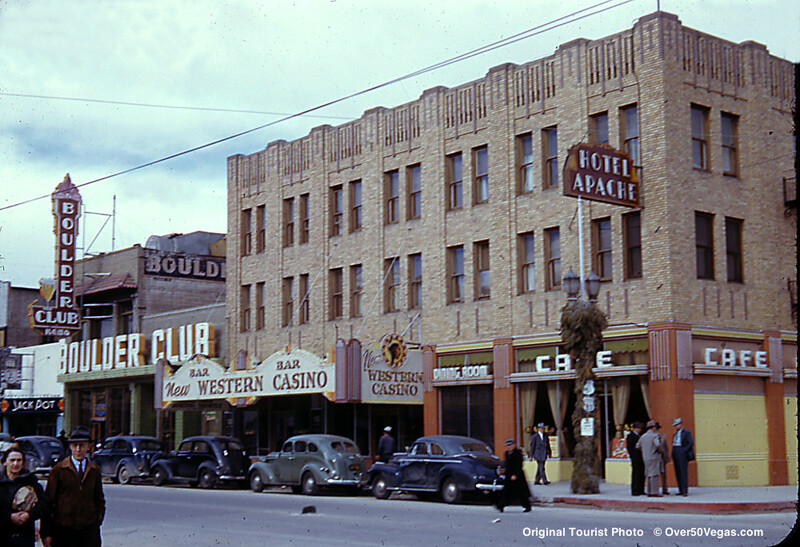 By the time May 9, 1943 rolls along, we have Forester's Jewelers at that location which matches up with photographs where the marquee has been split in half. Casino on one side and Forester's Jewelers on the other. We don't have a hard closing date for the 'Western' or 'New Western'. 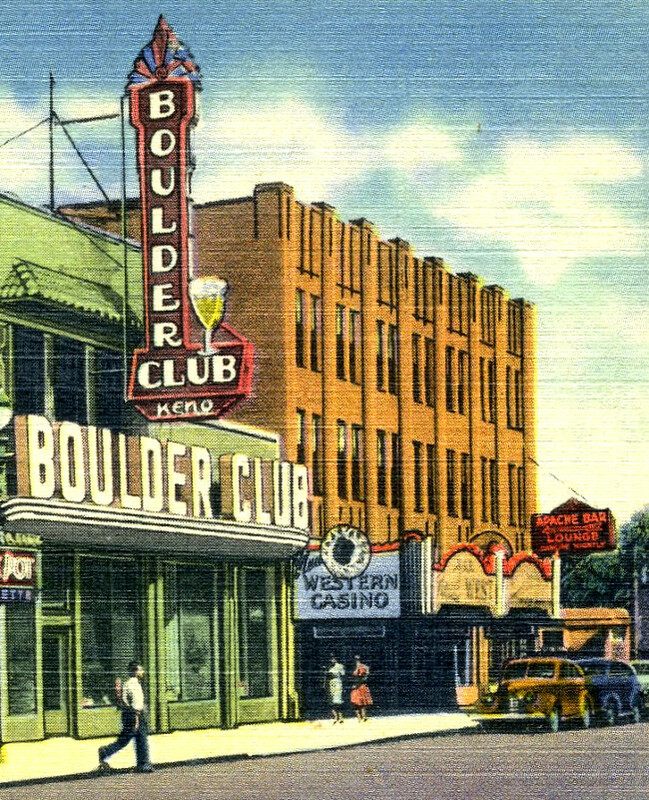 Whichever name it was officially called at the time it closed, by March of 1945 Tony Cornero had opened the S.S. Rex Club at 128 Fremont and The Forester's Jewelry and New Western signs were history. The two cars in the photograph below are both 1941 models with a 1941 license plate. 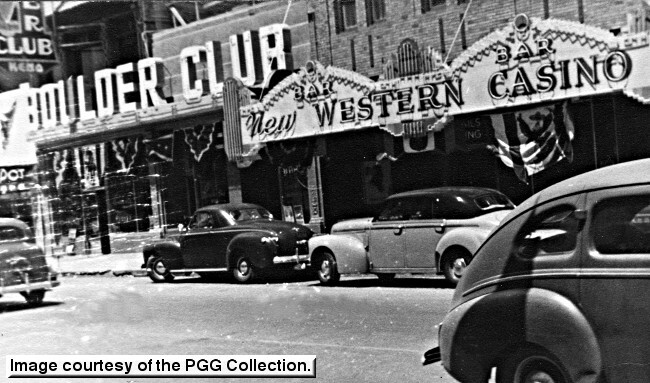 That dates the picture to at least 1941 or later and the words 'New Western' are on the marquee. That doesn't do much to date the casino dates since it could have been a one year old car sitting in front of the either casino in 1942. 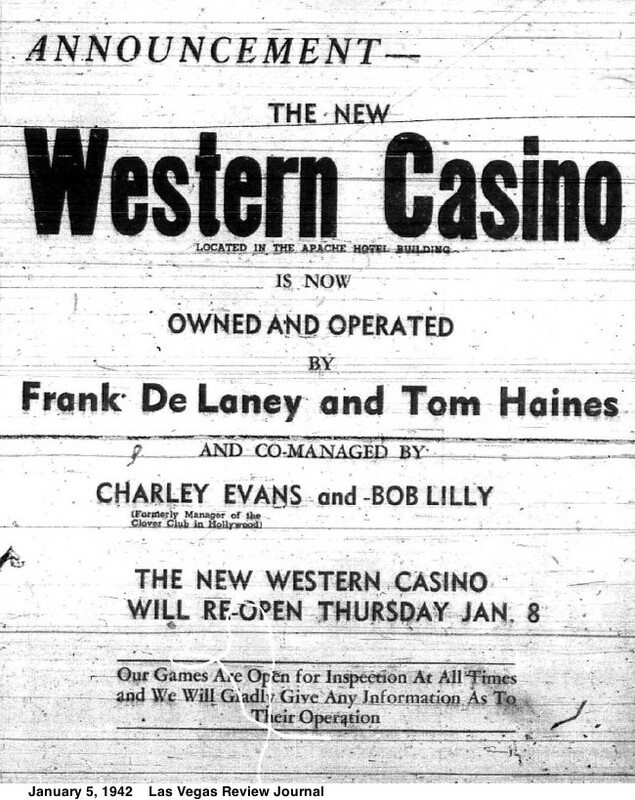 This ad from January 5, 1942 names Frank De Laney and Tom Haines as the new owners and operators of the Western Casino. This is a good example of the use of the word “New".